“Let Krishna tightly embrace this maidservant who has fallen at His lotus feet, or let Him trample Me or break My heart by never being visible to Me. He is a debauchee, after all, and can do whatever He likes, but still He alone, and no one else, is the worshipable Lord of My heart. 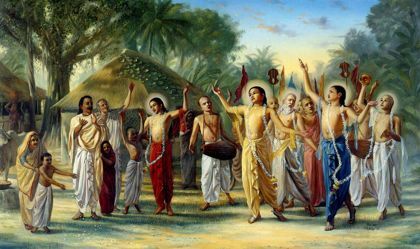 Listen to Siksastaka recited, along with poeticized English translation on ISKCON News.